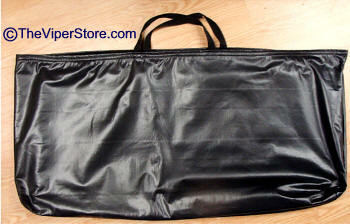 This high quality "leather like" vinyl bag is designed to safely stow your back pop-out window. It has a soft cotton interior to protect the window from scratches and damage. It seals with Velcro tabs. Fits inside trunk for all RT/10 Vipers. This is the bag that Dodge should have provided! 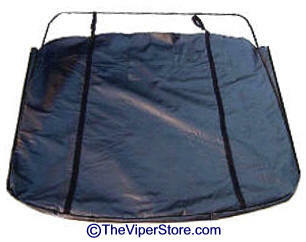 This Larger heavy duty - high quality "leather like" vinyl bag is designed to safely stow your removable hard top. 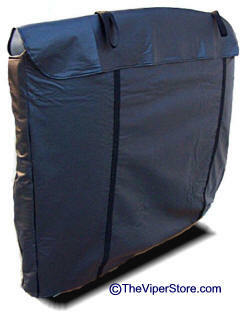 This bag is designed to completely cover the entire hard top and to close it in with a large flap secured by Velcro. In addition, it has heavy duty handles for carrying or hanging from the wall. 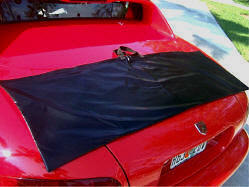 It has a soft cotton interior to protect your Hard Top from scratches and damage. 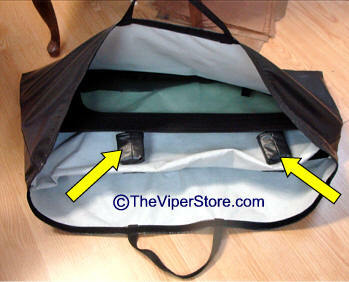 This Larger heavy duty - high quality "leather like" vinyl bag is designed to safely stow your removable folding Soft top. 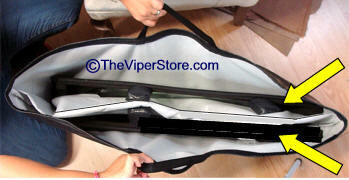 This bag is designed to completely cover the entire soft top when folded and to protect it while secured in your trunk. 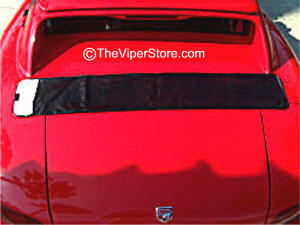 It has a soft cotton interior to protect your Soft Top from scratches and damage. Fits into your RT/10 Trunk. 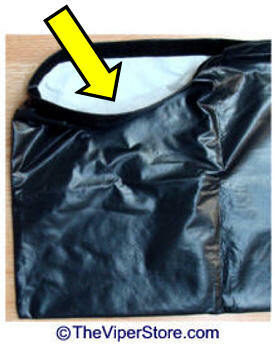 This high quality "leather like" vinyl bag is designed to safely stow both of your pop-out side windows. It has a soft cotton interior with a full length soft divider for each window (See photo lower right). Designed to protect your windows from scratches and damage. Includes 4 protector covers for the each windows metal stubs. 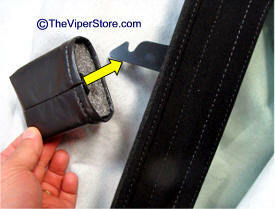 It includes two tough nylon carrying handles and seals completely with Velcro. includes 4 protector covers for the each windows metal stubs.